← DRY Soda is anything but dry and is fantastic! 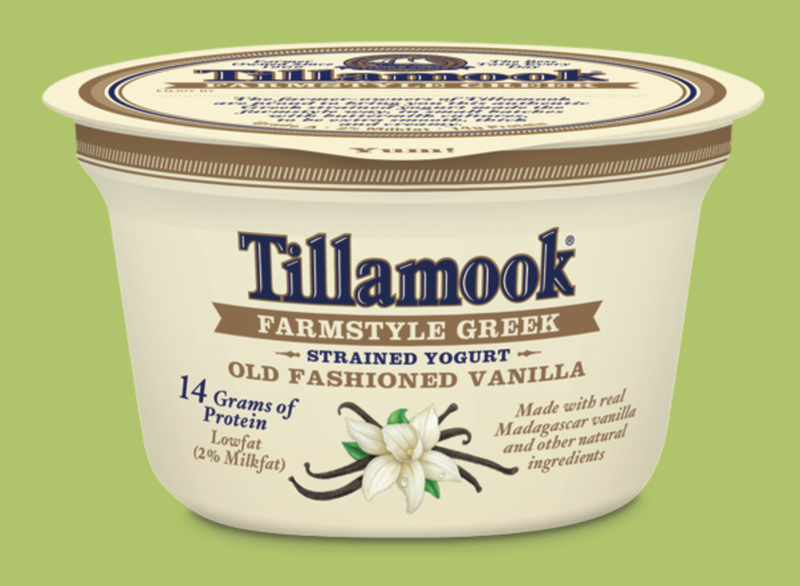 Tillamook Old Fashioned Vanilla Farm Style Yogurt…Winner! This is almost too good to be true: 12 grams of sugar, 14 grams of protein and it tastes like vanilla frosting! I mixed in a few huckleberries from my recent trip to the mountain, and it was as if I was eating dessert for breakfast. I will now head back to Safeway and buy all that they have. It’s a West Coast brand, so if you live back East, you’ll have to come visit me to enjoy this treat. See you soon! Posted in tastes too good to be good for you, Vanilla and tagged Tillamook old fashioned vanilla yogurt, Tillamook yogurt. Bookmark the permalink.